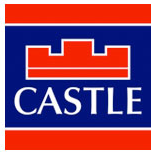 Castle Estate Agents are delighted to present 10 Watermill Lawn to the market. This stunning three bedroom semi-detached family home is presented in show home condition throughout and has been the subject of much improvement by the current owners. 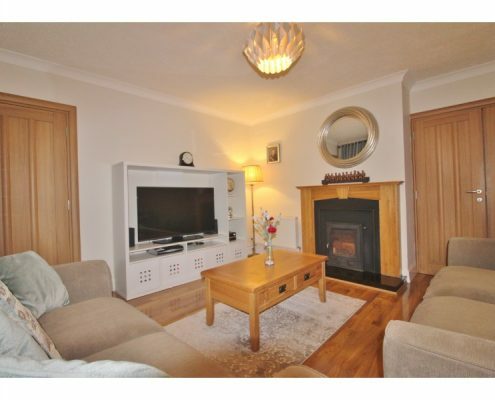 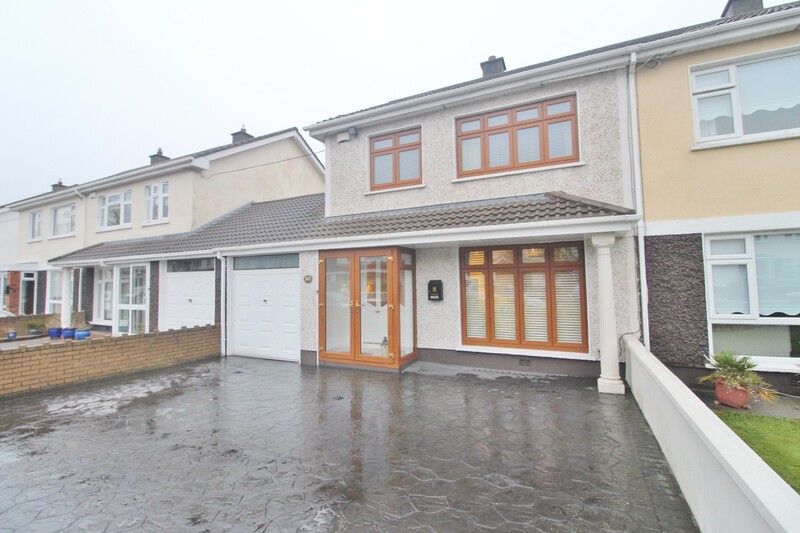 This beautifully maintained property offers bright and deceptively spacious living accommodation and is ideally located on a quiet cul-de-sac on the ever popular Old Bawn development. 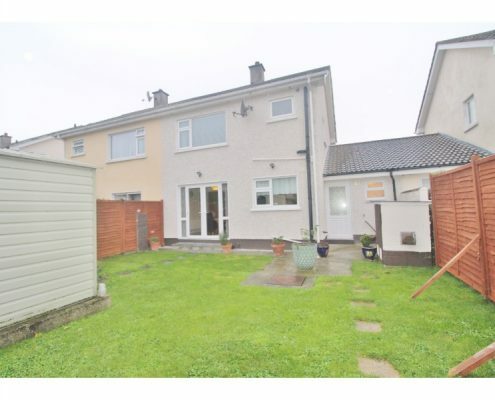 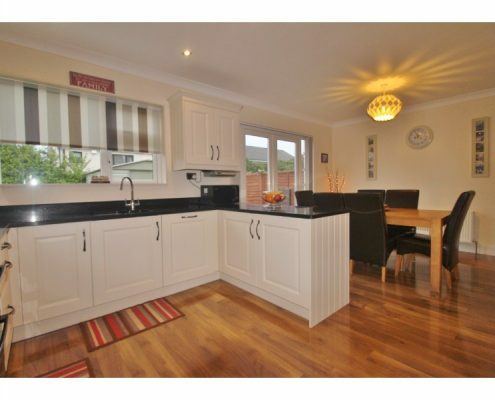 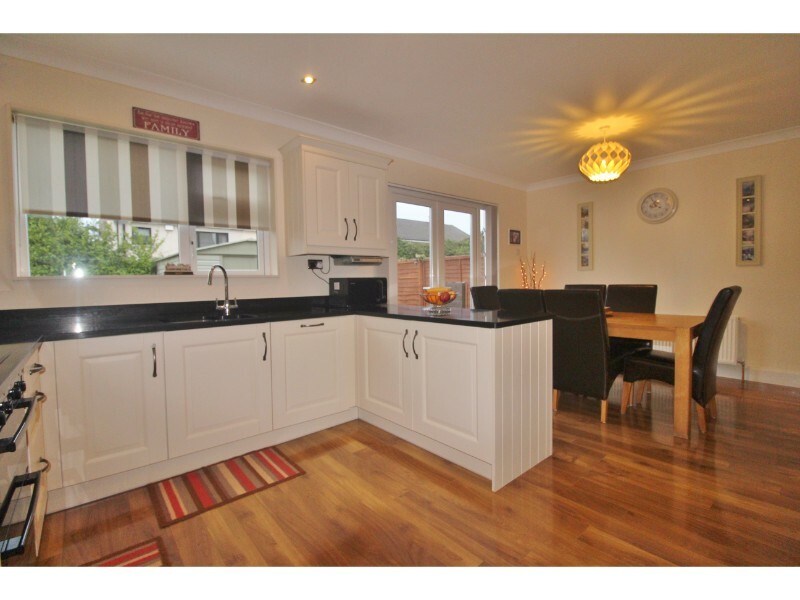 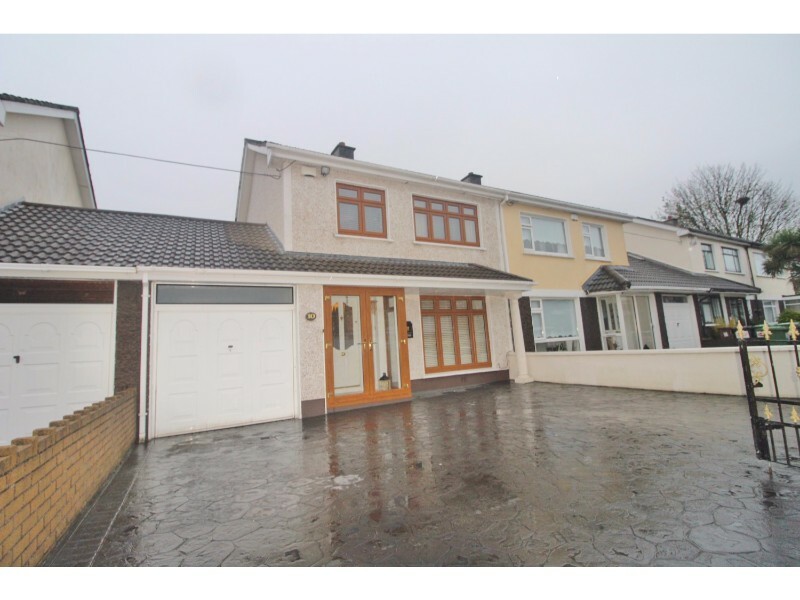 Situated close to all local amenities (local shops, schools, parks and road and bus routes) and with Tallaght Village a short walk away this superb property briefly comprises of a sitting room with feature fireplace (inset wood burning stove), stunning open-plan kitchen/diner, utility room, downstairs W.C., three double bedrooms and family bathroom. 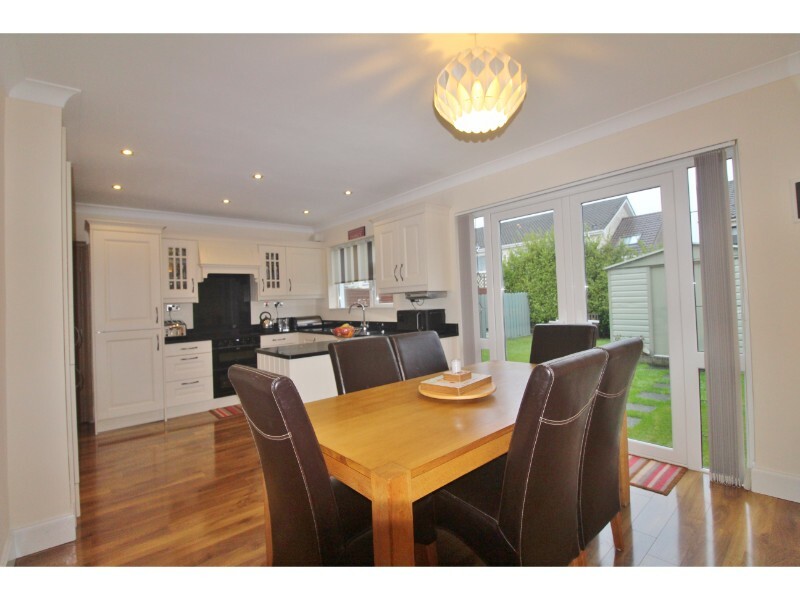 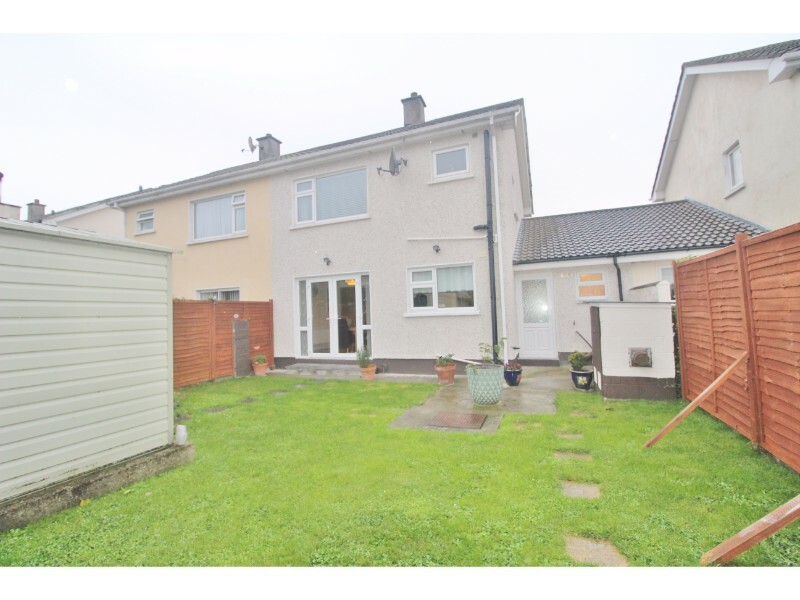 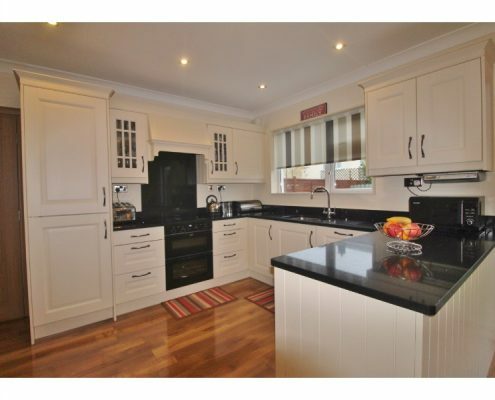 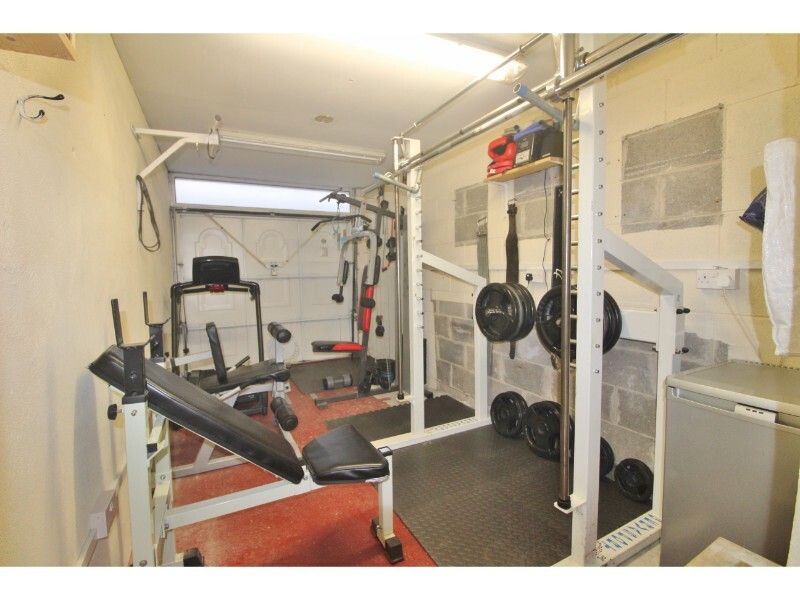 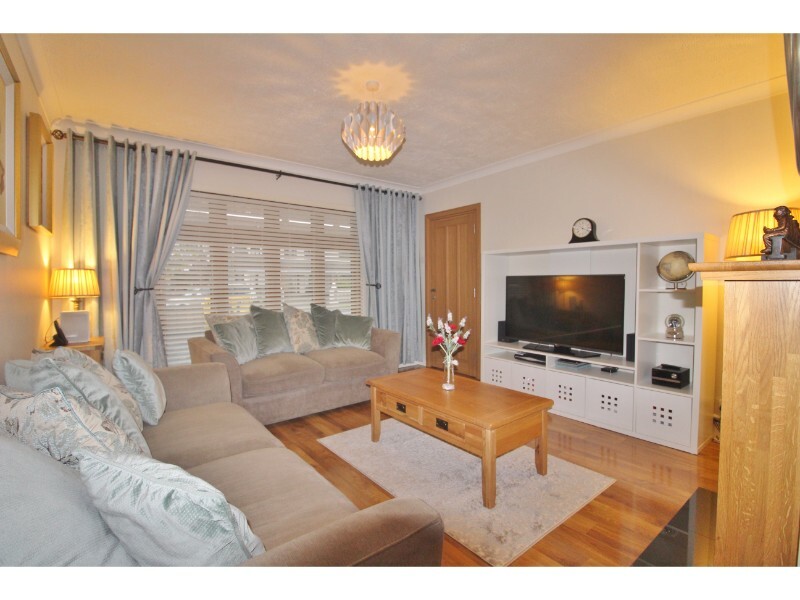 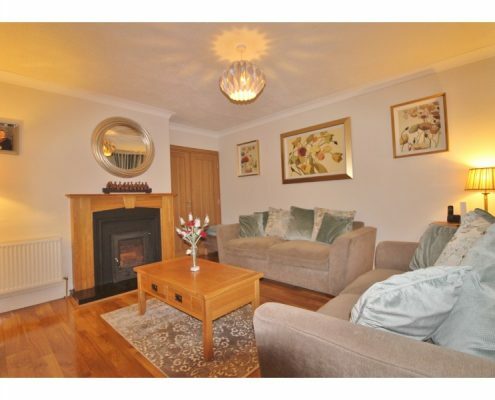 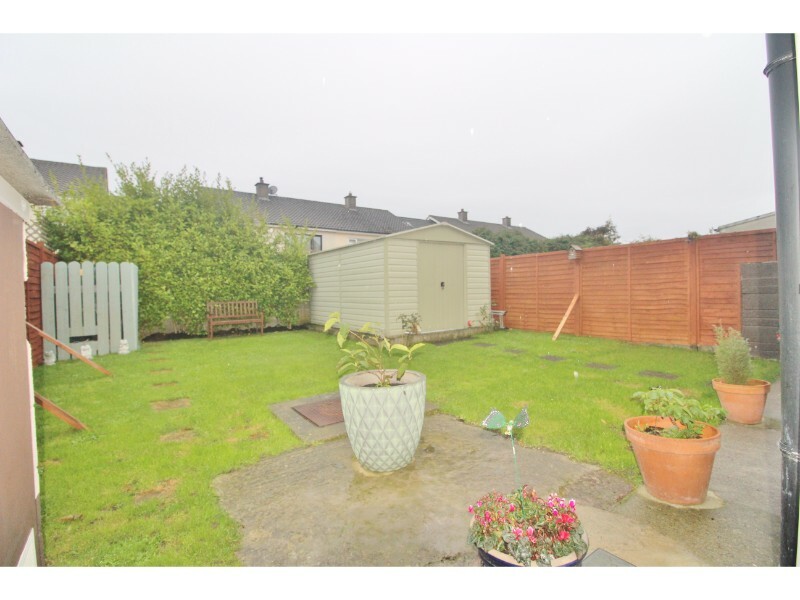 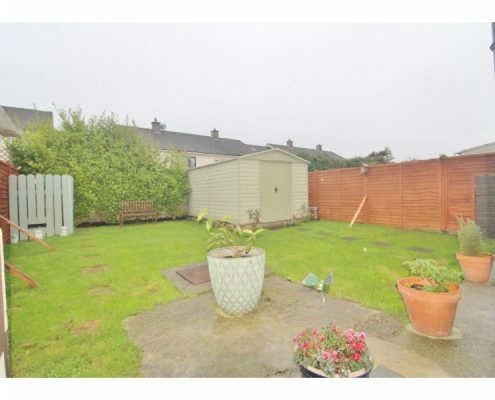 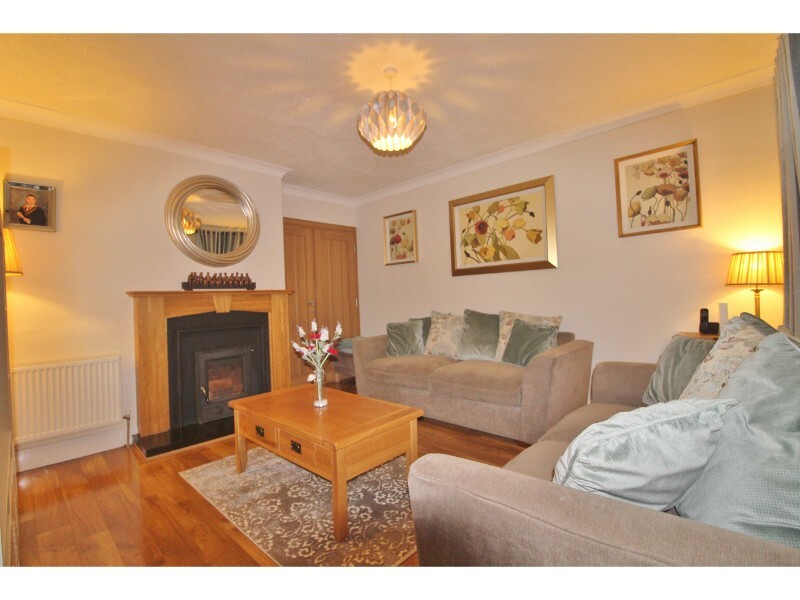 This lovely family home also has a single garage with power and light that could easily be converted to provide additional living space as well as a good size, private rear garden, to the front is a gated driveway providing off-street parking for two vehicles. 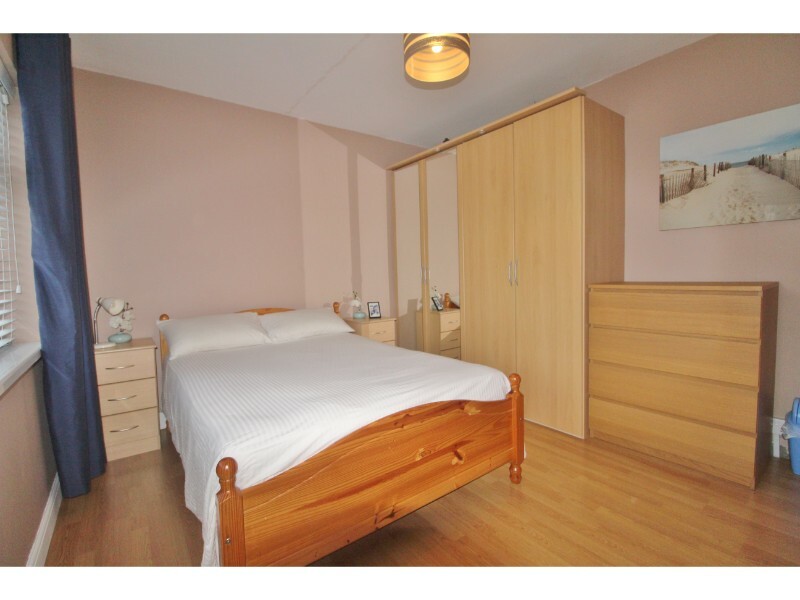 Many additional benefits include full double glazing throughout, double glazed porch, integrated appliances, fitted wardrobes and a large attic. 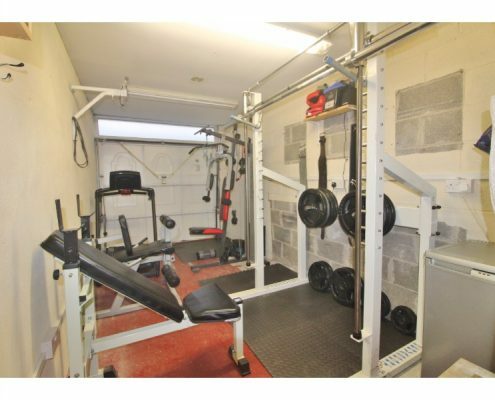 Properties of this caliber rarely come to the market and an internal inspection of this exceptional property comes highly recommended. Sitting room: 4.25m x 3.84m with double glazed, full-height windows to front aspect, superior laminate flooring, feature fireplace with wrought iron surround, marble hearthstone and wood mantelpiece and inset wood burning stove, double doors to kitchen/diner and coved ceiling. 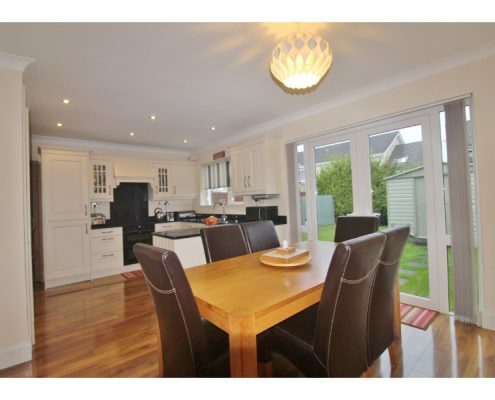 Kitchen/diner: 5.93m x 3.90m with double glazed, French doors to rear aspect, double glazed windows to rear aspect, superior laminate flooring, a range of both eye and base level kitchen units with Granite work surfaces, integrated oven, Halogen hob and extractor, integrated dishwasher, integrated fridge/freezer, stainless steel sink and coved ceiling. 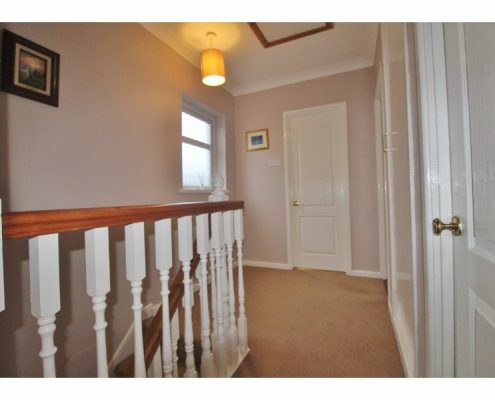 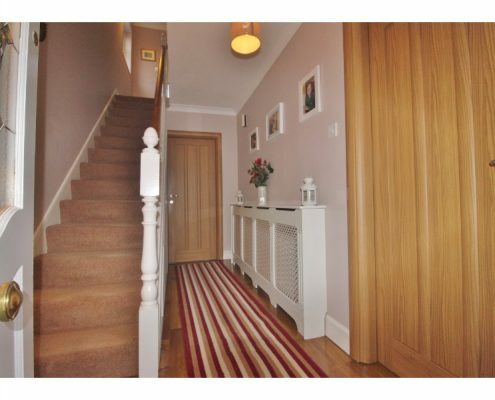 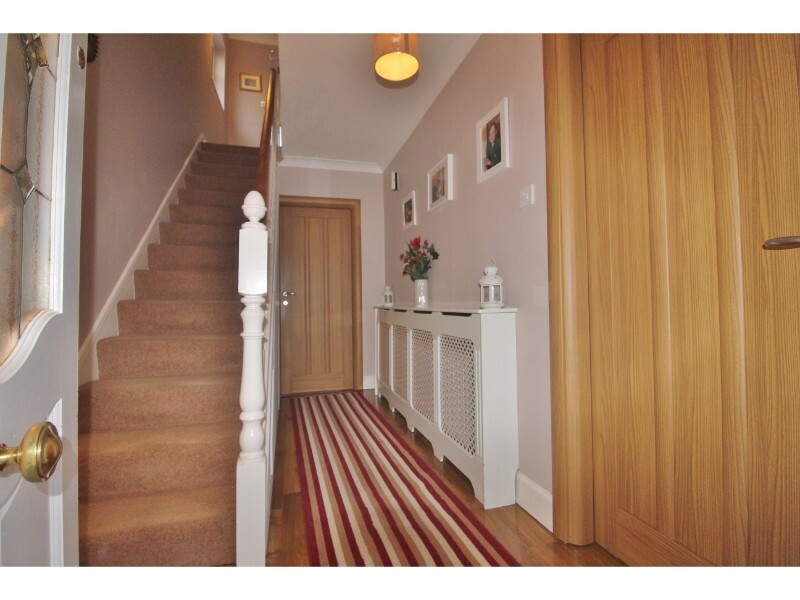 Hallway: 3.81m x 1.93m: Enclosed, double glazed porch leading to wood front door with leaded light obscure glass panels and side windows, superior laminate flooring, under-stairs fitted storage, stairs to first floor and coved ceiling. 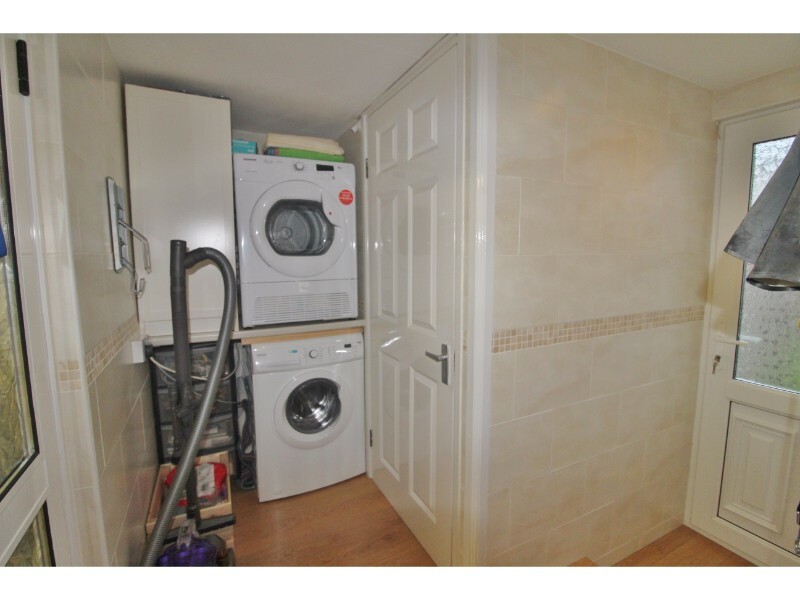 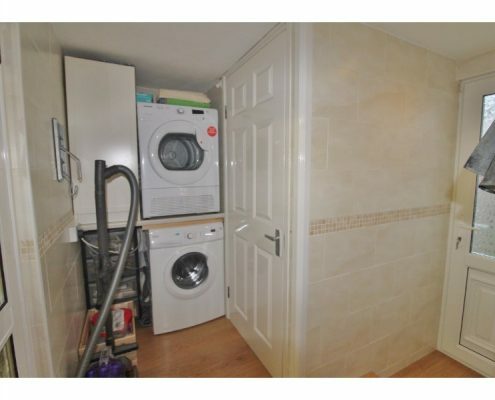 Utility room: 2.40m x 2.36m with UPVC rear door to garden, superior laminate flooring, space for washing machine with plumbing, space for dryer, door to garage and door to W.C.
W.C.: 1.38m x 1.16m with double glazed, obscure glass window to rear aspect, superior laminate flooring, fully tiled walls, pedestal hand basin and W.C. 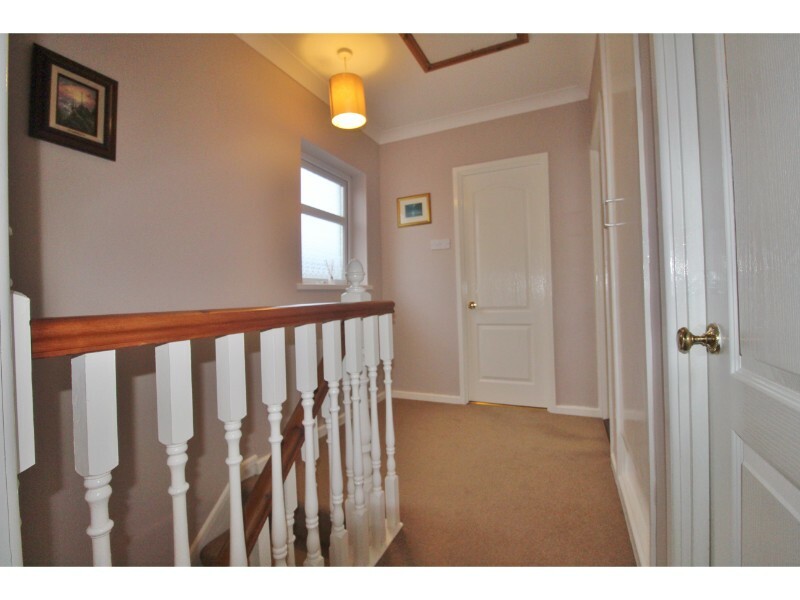 Landing: 3.66m x 1.78m with double glazed, obscure glass window to side aspect, hot press and loft access hatch. 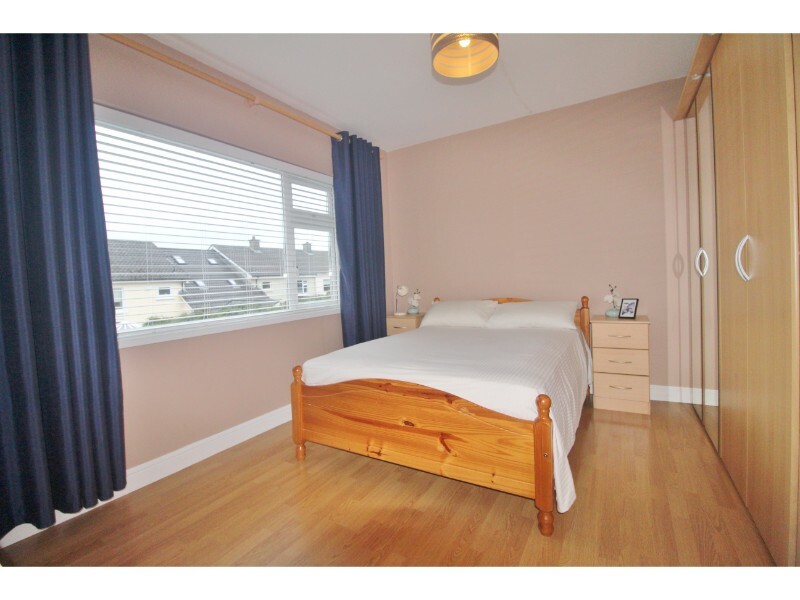 Master bedroom: 4.02m x 3.26m with double glazed windows to front aspect, laminate flooring, a range of fitted wardrobes and storage and coved ceiling. 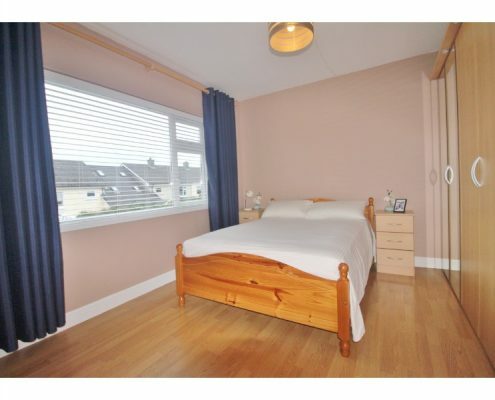 Bedroom 2: 4.02m x 3.26m with double glazed windows to rear aspect, laminate flooring, fitted wardrobes and coved ceiling. 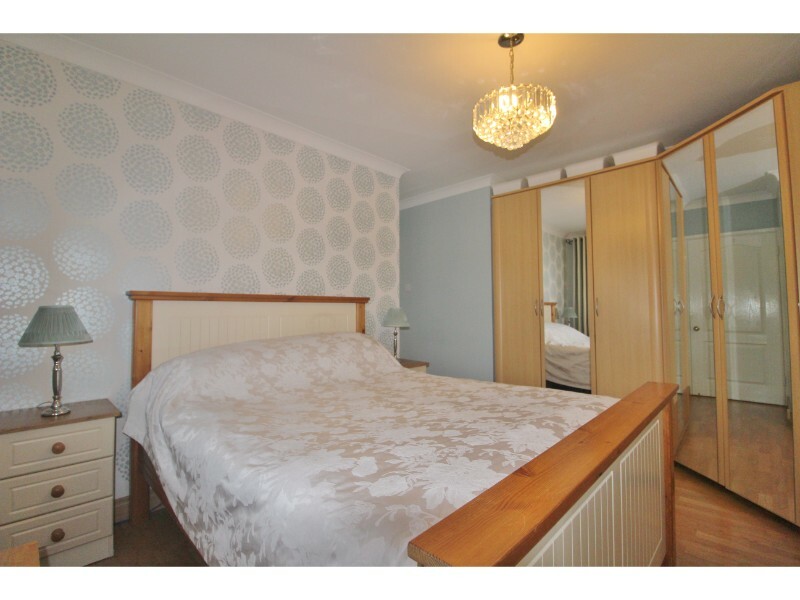 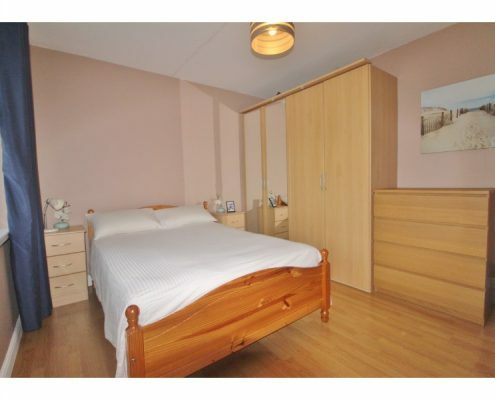 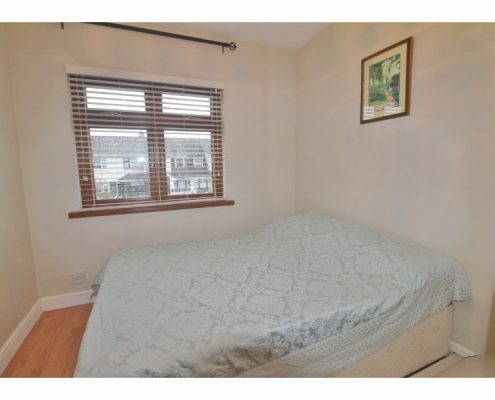 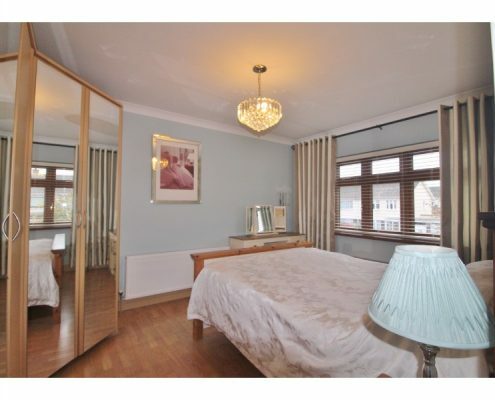 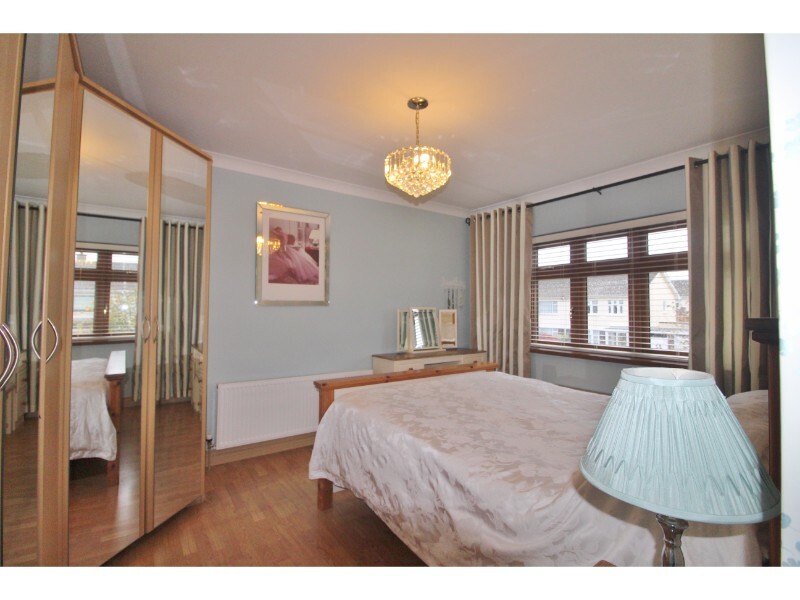 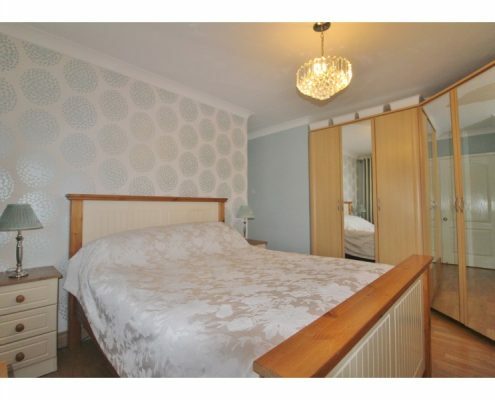 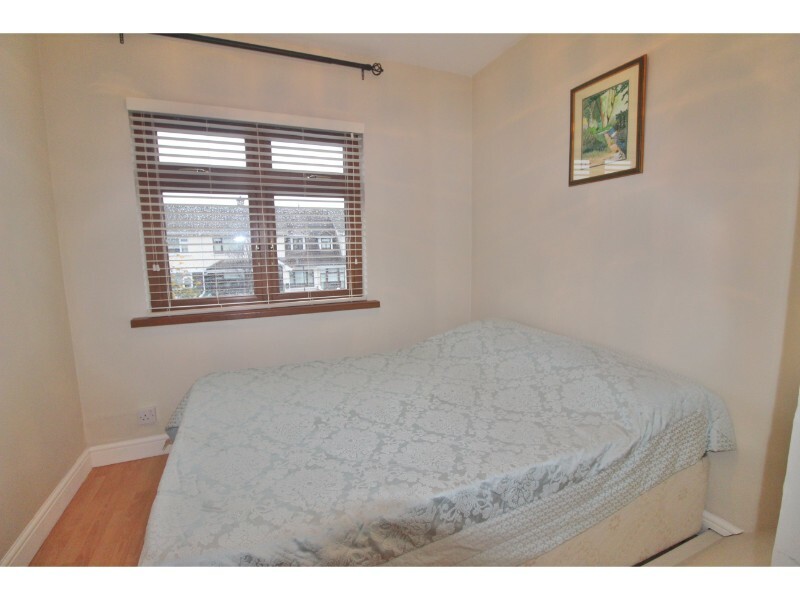 Bedroom 3: 2.95m x 2.60m with double glazed windows to front aspect, laminate flooring and fitted wardrobes. 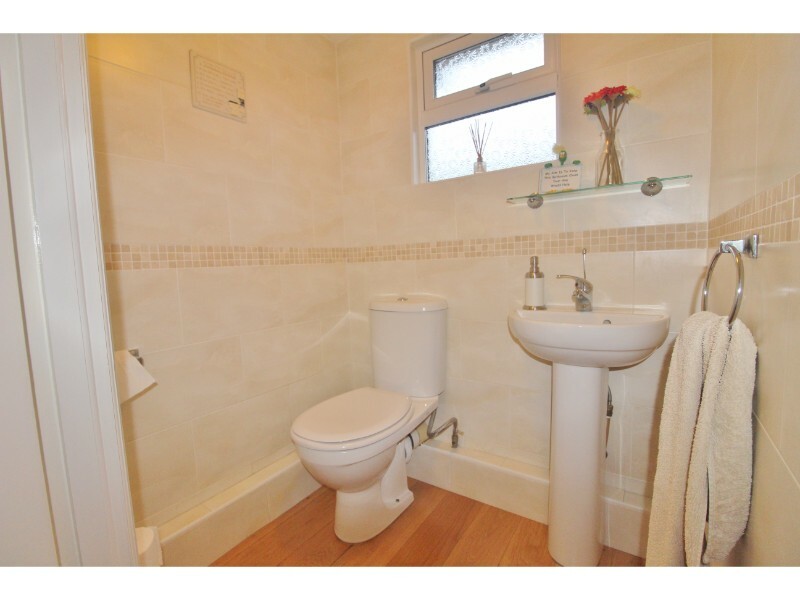 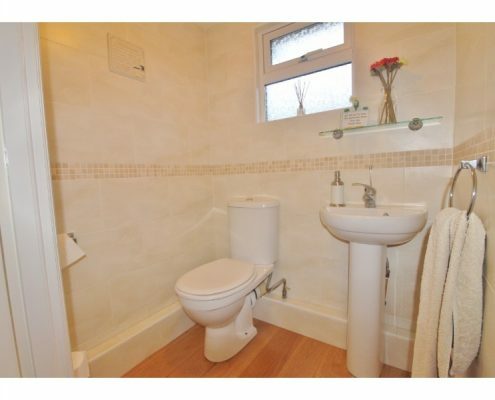 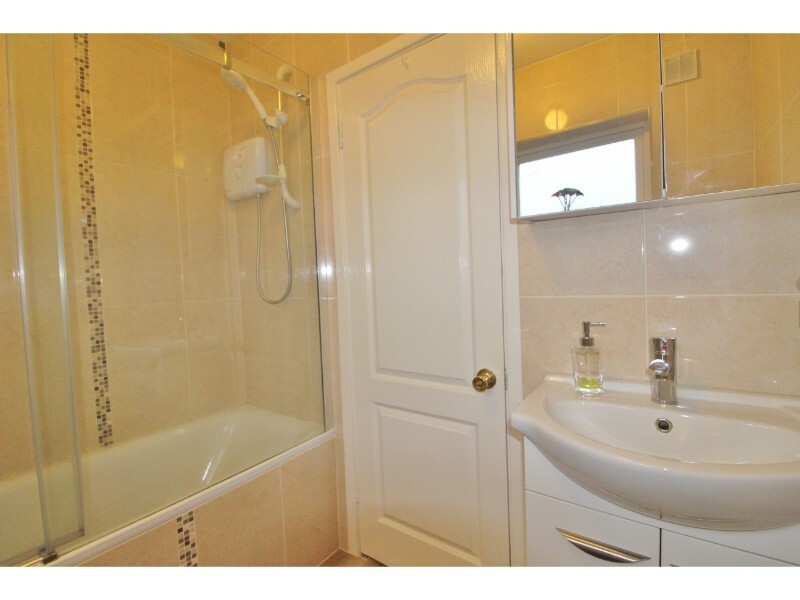 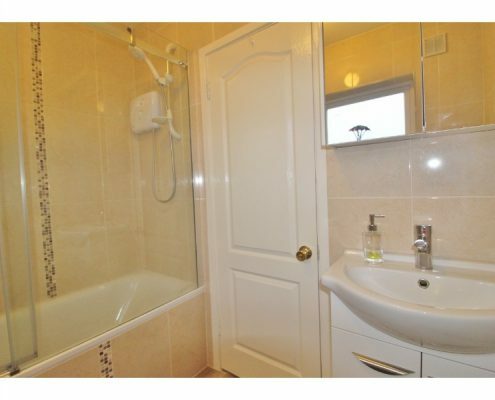 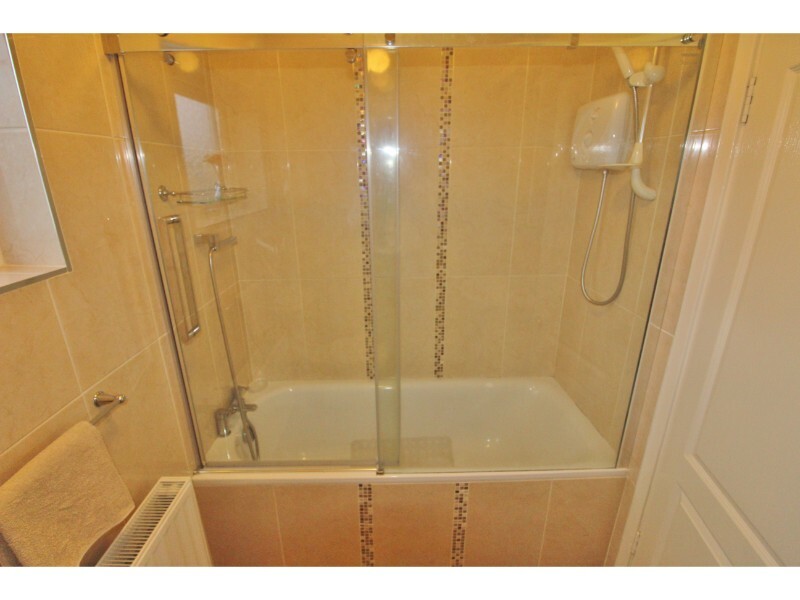 Bathroom: 2.23m x 1.64m with double glazed, obscure glass window to rear aspect, ceramic tiled flooring, fully tiled walls, bath with Triton shower over and splash-screen, pedestal hand basin and W.C.
Garden: Mainly laid to lawn with hedgerow and panel fencing borders and large metal storage shed. 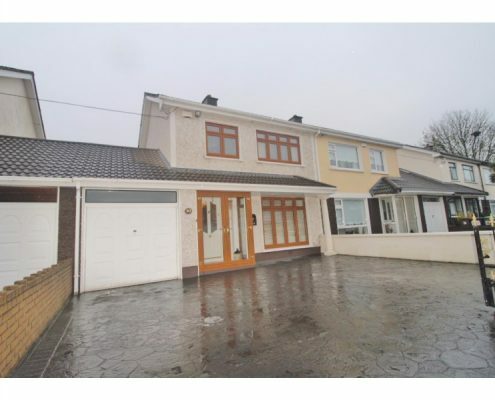 Front: Large, gated driveway with off-street parking for two vehicles.